3D Artist - Philippine distributor of magazines, books, journals, etc. 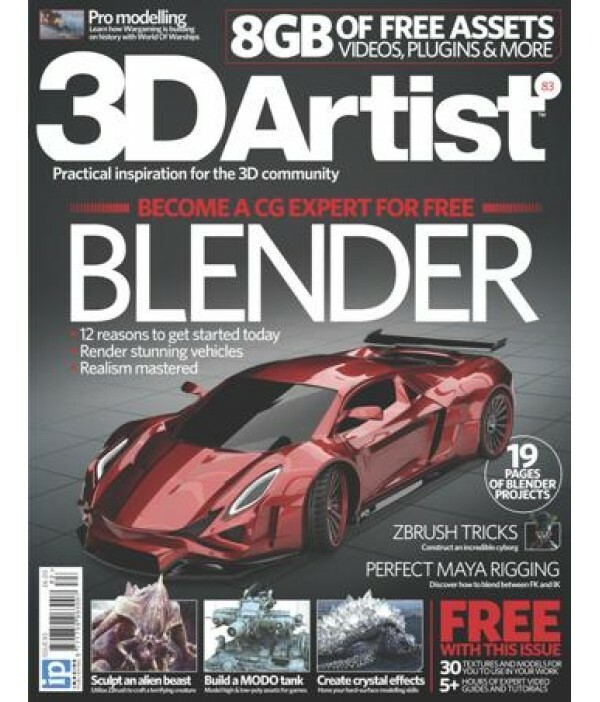 3D Artist magazine is a premier magazine for fans of 3D software and the outstanding images that can be created. Each issue is packed with advice and inspiration for 3D devotees, all written by first-class artists. The tutorials give readers valuable insight into the techniques used by 3D professionals, while interviews and features focus on the latest projects being created by commercial studios and freelancers. 3D Artist looks at all 3D disciplines, from TV and architecture design, through to film work, concept art and character development. The unique 'Workspace' mini-mag is for people training for a 3D career and shines the spotlight on 3D university and college courses, in addition to specific career advice from experts in the field, interviews with 3D studios and recruitment agencies, plus tips for anyone starting out as a freelancer. In addition to the printed magazine, 3D Artist also has a companion gallery-based website which allows people to showcase their best 3D work and help build up a strong magazine community. Plus every issue contains a CD packed full of resources including recently software packages, base models, tutorials, rendering packages as well as scenes, backgrounds and movies!